Children around the world experience different opportunities. The availability of resources influences outcomes. Students may log into EDMODO to contribute their ideas. 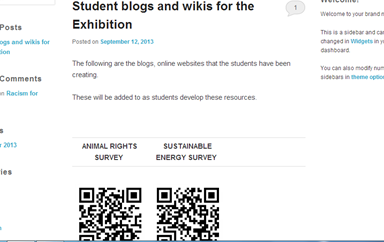 Go the JSSALCLibrary wiki for EXHIBITION resources and frontloading materials. The Year 6 moodle course will also have updated resources. The students have been unpacking the central idea and are considering what they would like to explore further with this term’s UOI Sharing the Planet. Students are encouraged to try out the mindmapping tool – MINDOMO http://www.mindomo.com/. Over the term a range of Web 2.0 tools will be used for the inquiry. A key resource are the EDMODO pages for each group. 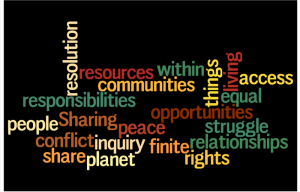 It is here students will share and collaborate for the term. Wallwisher with more – able to add photos. documents and movies.